Prince Mohamed Ali Tawfiq (1875-1954), a son of Khedive Tawfiq, started to build Manial Palace in 1901. 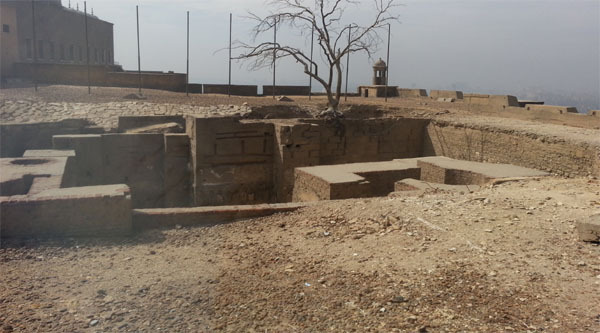 He chose the site, on the island of Roda, for its serene and beautiful landscape, which directly overlooked the Nile. The palace, together with a reception hall named the "golden hall" for the golden Qur'anic and poetic inscriptions on its walls and ceilings, occupies two feddans at most out of a total area of 17 feddans, mostly devoted to the gardens. The garden had a group of rare trees which the Prince had brought from various parts of the world. 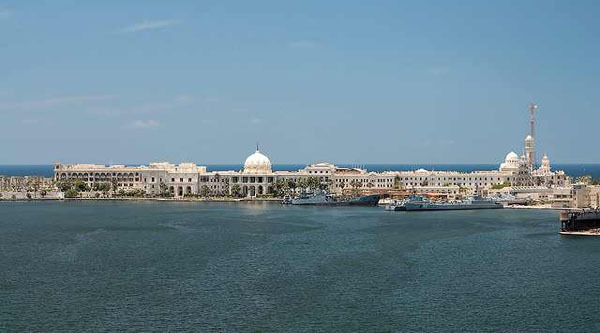 The Palace is situated in the east of the River Nile along the island of Manyal el-Roda. It covers an area of 61711 square meters, as buildings occupy 5000 square meters, 34,000 square meters for gardens and 22711 square meters for inner roads and garden constructions. An art aficionado and amateur artist, Prince Mohamed Ali envisioned his palace as a haven for Islamic art. His wish is recorded on a plaque at the entrance of the palace. 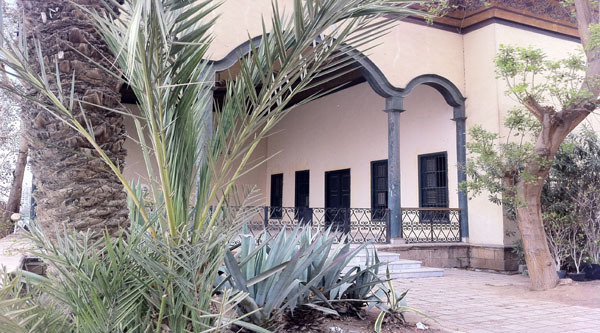 Prince Mohamed Ali designed the palace and supervised its construction himself. He chose a blend of Fatimid and Mameluke styles, tinged with Ottoman elements, and drew on Persian, Andalusian, Syrian, and Moroccan elements in the palace's several detached buildings. 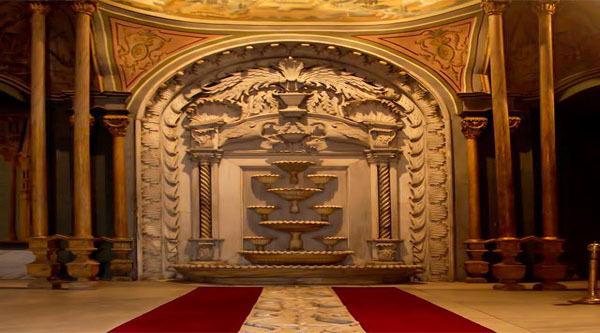 The palace's architecture, interior decorations and furniture are all modeled on the Arabesque style. 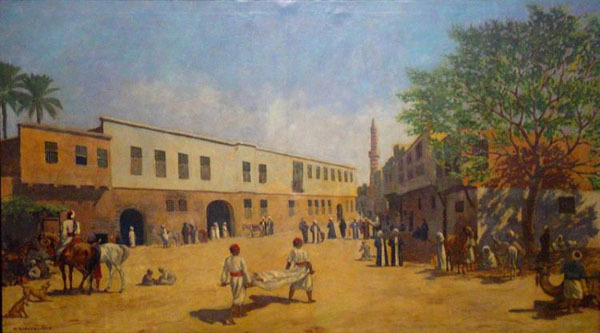 The museum's collection is the most complete representative set of the "Ottoman" art. In addition, the museum contains early Islamic manuscripts and rare collections of embroidered textiles, carpets, crystal vessels and candelabra. The palace's façade and high gates give the aura of a Fatimid fortress. The main entrance was designed in the same way Iranian mosques and schools were built in the 14th century. On its two sides, two towers follow the style of Fatimid minarets. Elements of Mameluke architecture can be seen in the palace's Saray Al-Iqama (residency), especially in its main gate, mashrabiya and glass-embedded windows, which overlook an Andalusian fountain. The palace's mosque is built in the Moroccan style and it is in the Throne Room that the Ottoman style reigns. The Ottoman style dominates the interior of the palace. One can hardly fail to notice a rare collection of 350 Turkish carpets, not to mention Turkish chandeliers, shell-encrusted arabesque ensembles, exquisite wall ceramics and the sun ring motif decorating the ceilings. The palace is also home to a rare collection of valuable antiques the prince collected from different parts of the world or picked from the rubble of collapsing Mameluke and Ottoman houses. 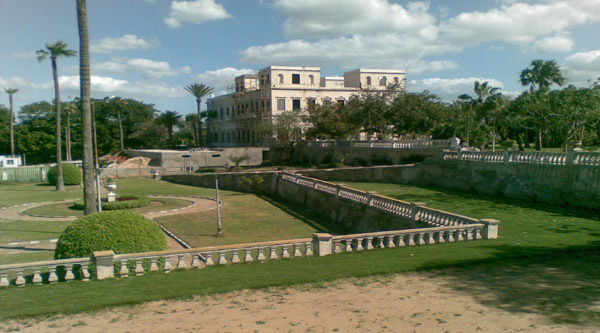 Prince Mohamed Ali was keen on turning his palace, where he received favored guests, politicians and intellectuals, into a museum. In 1908, he registered Manial Palace as an antiquity. He devoted the annual revenue of some 2,213 feddans of his arable lands to its maintenance, but the land was sequestrated after the 1952 Revolution. The palace itself was never sequestrated, being registered as an antiquity. The Palace is divided into 11 sections; the gate which was built in the style of middle age castles gates has terraces for guards. The reception palace was designed for receiving official guests and is of two stories. The first story has two rooms, the ceremony room and the reception one for those who offer Friday prayers with the Prince, the second story has two halls: the Moroccan and Syrian. The Saa (clock) tower lies between the Reception Palace and the Mosque, which Prince Mohamed Ali built after the Andalusian and Moroccan fashions. The fountain lies between the tower and the great Mosque, the Mosque despite its small size is considered an unmatchable architectural and ornamental antique. The Hunting Museum is a long hall annexed to the east gate overlooking the garden. 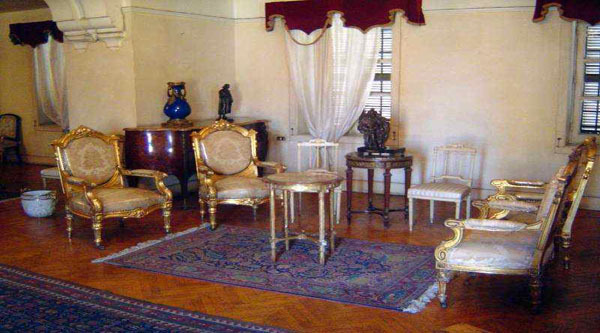 It displays possessions of King Farouk and Prince Youssef Kamal who loved hunting. This Museum was finished long after the death of the Prince and was opened to the public in 1962. 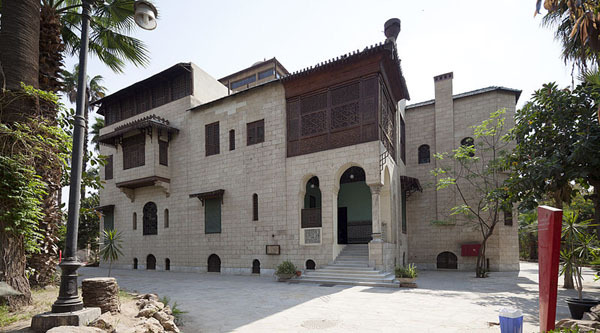 The two-story residence is the oldest building in the palace and has a tower overlooking sights of Cairo and Giza. The first story consists of al-Shakma, the mirror lobby, harem room, blue saloon, dining room, arabesque saloon and the fireplace room. The second story consists of the jewelry room, arabesque room, Princes bedroom, maid's room and a balcony overlooking the mirror hall. The Throne palace was designed after the Ottoman style in the form of a "Kosha" . The private Museum is situated in the southern part of the palace and consists of 15 halls divided by a yard with a small garden. The palace garden is a rare plant museum, where the Prince collected a lot of plants unknown in Egypt and was able to adapt them to the soil and environment. It is a real example for the modern Egyptian history.